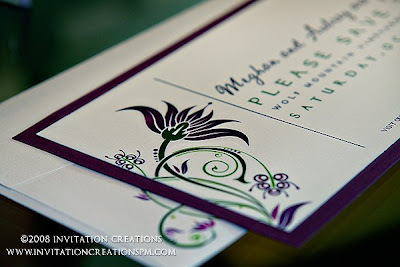 Invitation Creations, LLC Blog: Meghan is ahead of the wave! 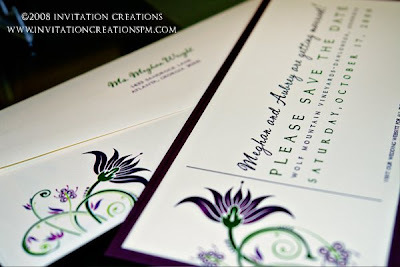 Meghan came to me to create her wedding invitations as well as her save-the-dates. She said she had been eyeing a certain invitation that I had designed before for someone else but wanted it in her colors. Of course, I made that one as one of her samples as well as an original one just for her as well. This is the one she chose and I am looking forward to designing her invitations next!